Set-up of institutional (= sector-wide) Capacity Building cooperation for improving legal and policy frameworks on nautical qualifications and Danube transport promotion. Capacities and skills on Danube logistics: Danube SKILLS will assist public institutions responsible for Danube navigation development in the transnational promotion of Danube logistics by increasing first their competencies and skills in Danube logistics and thus fostering their interactions with their commercial users on how to learn and use Danube transport on a regular basis. Transnational policy support such as strategies and action plans for nautical qualifications and Danube transport for fostering institutional (= sector-wide) capacity building. Danube SKILLS optimizes governance mechanisms for international cooperation in EU Member States and beyond (e.g. 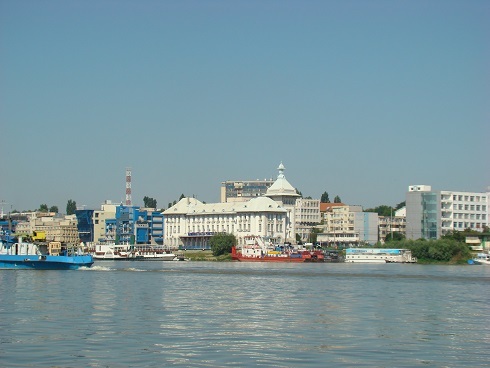 Serbia) and also promotes excellence in public administration through informal cooperation and sharing experiences and joint activities and thus contributes to EUSDR PA10 (EU Strategy for the Danube Region- Priority Area 10) to step up institutional capacity and public cooperation. It also supports EUSDR PA1a - EU Strategy for the Danube Region- Priority Area 1a (inland waterways) and EU2020, SEE (South East Europe) 2020, Cohesion Policy with regard to improved qualifications of human resources. 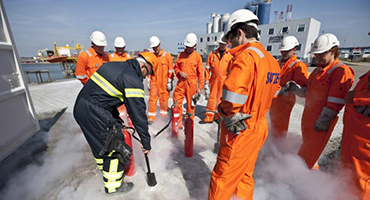 The project consortium includes 22 partners (13 ERDF, 2 IPA, 7 ASPs) from the education and training and the inland waterway transport industry, public authorities, non-government organizations and international associations from Austria, Germany, Slovakia, Hungary, Croatia, Serbia, Bulgaria and Romania as well Associated Strategic Partners (ASPs) from France, Hungary, Croatia, Czech Republic, Netherlands, Belgium and Germany. Participation as ASPs of River Commissions, i.e. the Central Commission for the Navigation on the Rhine, the Danube Commission and the International Sava Basin Commission, the Ministry of Transport of the Czech Republic, the European Transport Workers’ Federation, EDINNA Association and Association for European Inland Navigation and Waterways, all entities actively involved in the process of harmonization of qualifications in the inland navigation sector and integration of Danube navigation in modern European transport solutions is an additional asset for the successful delivery and subsequent sustainability of project ambitious outputs.